The paper deals with modeling of a thermomechanical actuator for a microrobot. The actuator is modeled by a linkage of rigid bars connected by elastic joints. A series of experiments were performed to estimate the parameters of the adopted model. The parameters of the model are calculated and validated. The actuators of such a type can be used, for example, in robotic devices designed for operation in spacecraft. These actuators are simple to manufacture and control. 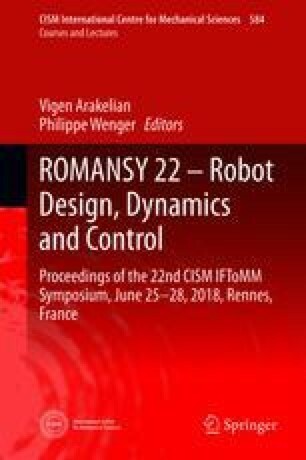 Mathematical modeling of the mechanical properties of the actuators could help plan motions and design control strategies for robotic systems. This study was supported by the Russian Science Foundation (Project 14-19-00949).